<< Back GPO ivory 162 on a No25 bell set. 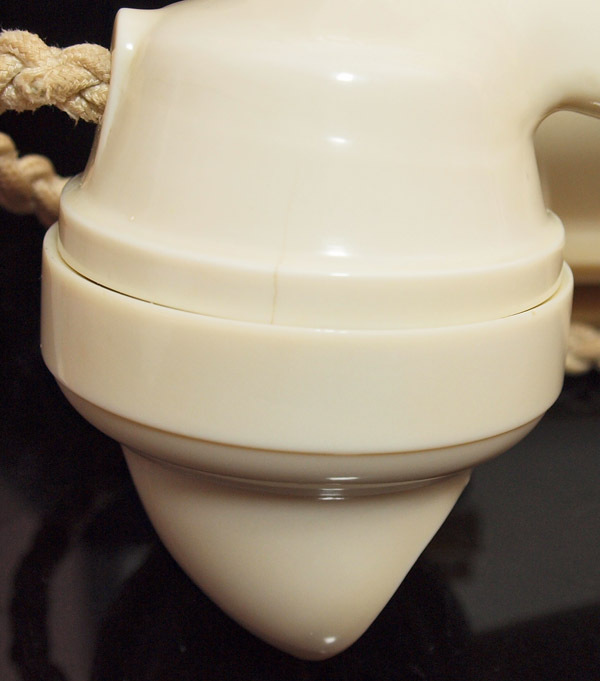 GPO ivory 162 on a No25 bell set. 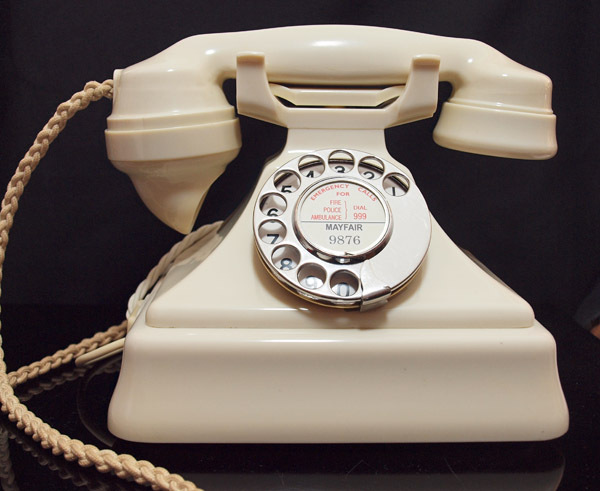 A wonderful telephone and very rare to find on its bell set with colours matching. This is a very rare telephone. 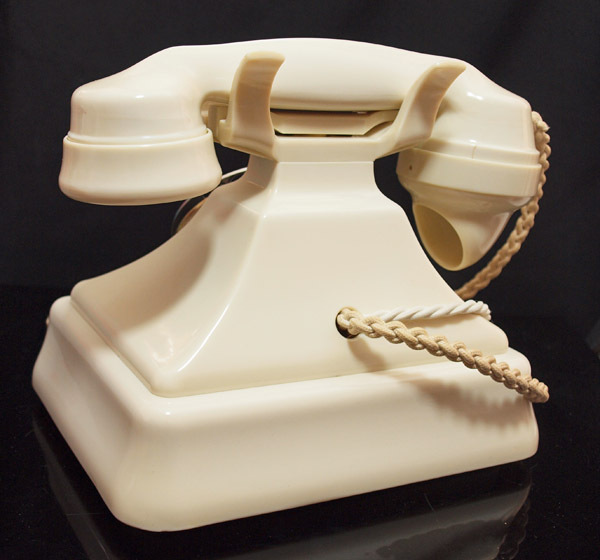 It is a 162 GPO model with a No 25 GPO bell set in a thermosetting white Bakelite material. These are very hard to find in good condition due to the material being very brittle and so easily broken. This one is a very good even ivory colour and all matches very well. The line in is a slightly darker colour but is the rare two hole version. The cradle is perfect and so is the bell set which is very hard to find. It has been wired up to work with an electronic microphone fitted. The speech and receiver quality is not up to the later 232 models but perfectly usable with only a slightly higher volume back into your ear. 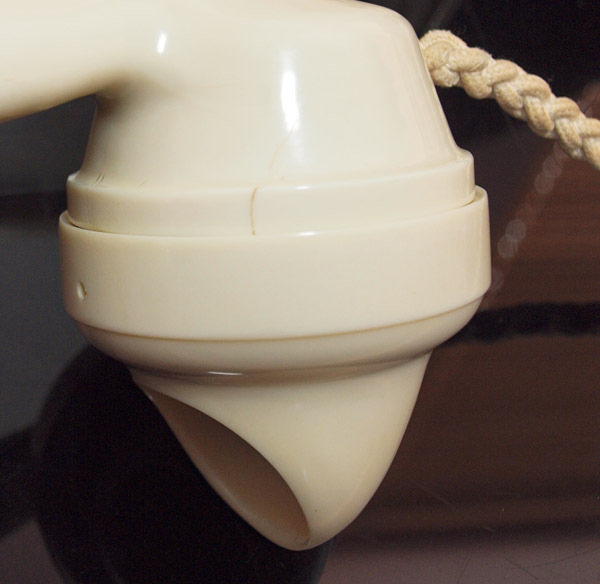 The mouth piece handset has some cracks which are photographed and these are due to the metal parts inside the handset expanding at a different rate to the brittle Bakelite materiel. 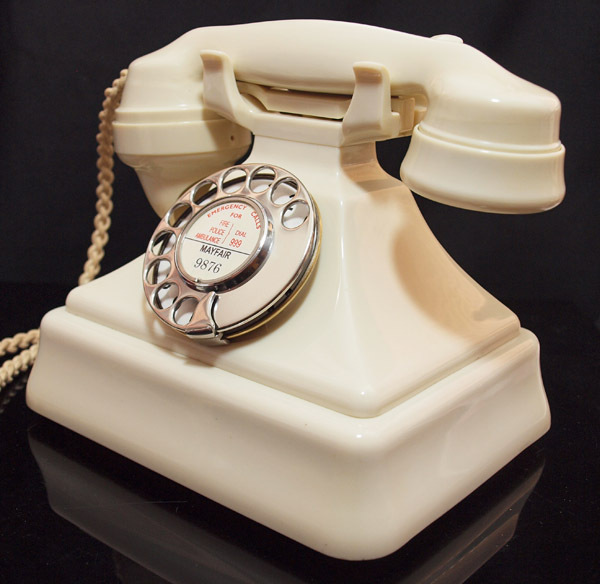 I have been collecting and selling top class telephones for over 15 years and I can assure you this is one of the best you will find. 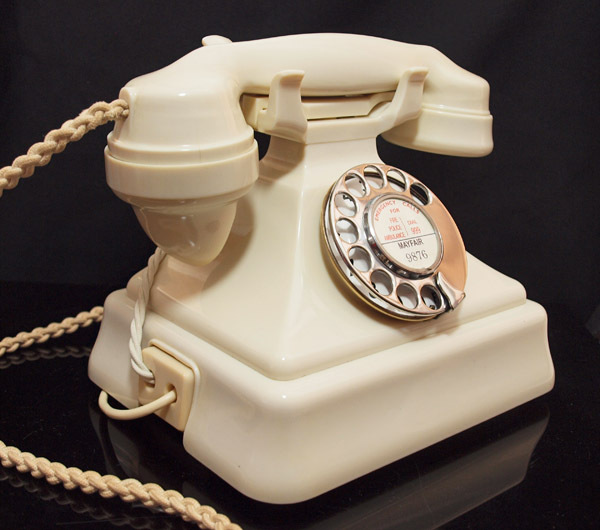 It retains its original handset cord and I have fitted a GPO specification round plastic line in with a UK telephone plug socket. It is ready to simply plug in and go. 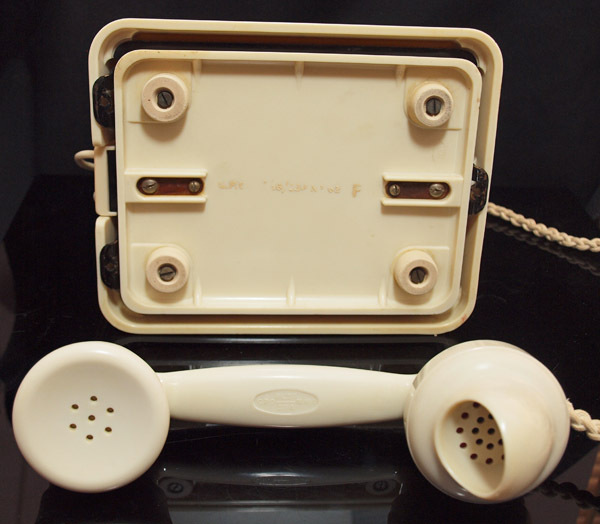 The handset is marked 1937 and the base writing has mostly gone but see the pictures. It has a genuine GPO No10 enamel number faced dial.